You can personalize your Walker Tracker profile by adding a photo that will be displayed on your program website and mobile app dashboards. Click your username in the upper right hand corner of the dashboard (it’s next to the message icon). A settings screen will display. On the left side of the menu, your current profile image is displayed. If you haven’t uploaded a profile picture, the default avatar will display. Click the “Change Picture” bar at the bottom of the photo to go to the picture uploader. 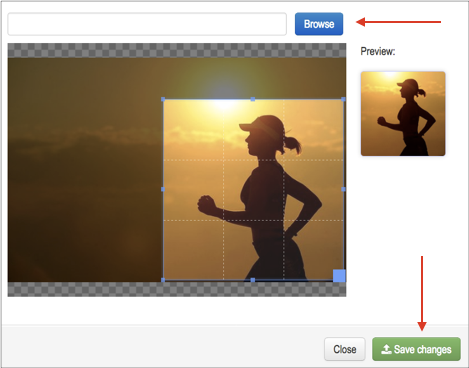 Browse for the picture you want, press upload, and click / drag the frame to define the image area.